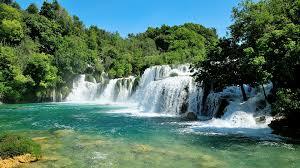 Cheaper Car Hire at Split Airport - Compare discounted SUV, Estate & 7, 9 seat minibus rental rates for Split, Croatia. 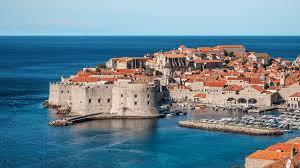 Compare and book, lower cost car hire at Split Airport and downtown. You can save on the usual rental rates of major vehicle companies, by booking through our site, as they encourage you to book early. Get that SUV, MPV, minivan or an estate in Split, and save money by booking through us, today.. Choose from these companies:- Hertz, Fleet, Enterprise, Dollar, Oryx and Right Cars, all of whom keep their rental fleets on the airport premises. If need a little extra space for the golf clubs, then select from one of the following utility vehicles Skoda Fabia Estate, Skoda Octavia Combi, Opel Meriva Estate, VW Passat Estate or the all new Opel Vectra Estate. All prices we quote include CDW (Collision Damage Waiver), Third Party Liability, Vehicle Theft Protection (does not include personal items), Personal Accident Insurance, Unlimited Mileage, Premium Location and Airport Fees, Tax (VAT and GST). With some suppliers we have been able to negotiate one free additional driver. See quote page for more details. Add Global Positioning Systems to your car rental , which will aid you get to your destinations on time, especially if your grasp of the Croatian dialect is too weak to ask for directions. Split Airport also goes by the name of Resnik Airport. The airport is in Split-Dalmatia county. This airport serves the cities of Split and Kastela. It can be found near Trogir. Split Airport is 2nd when it comes to size and capacity. This airport can accommodate as many as a million passengers. The taxis and airport buses are easily accessible, with both of them conveniently parked just outside the terminal. The airport transfer service is recommended to anybody who would like a private vehicle from the airport to their hotel. If hiring a car is not for you, then a regular bus service operates from Split. Alternatively you may hire a taxi. The distance to town is about 30kms. For worry free motoring, purchase the local excess insurance product, or buy excess cover insurance. Other extras that may be booked include childbed seats, snow chains, snow tyres and Sat Nav. Originally a Greek settlement, Split was founded in the third and fourth centuries. Today,Split boasts a population of over 2,000,000 and is the second largest city in Croatia. Save today on vehicle costs for Split Airport. We offer quality, cheaper motoring rates in Split. Book soon for MPV, SUV & minivans. Like all Croatian cites, Split nestles on the Adriatic.The Adriatic coast is utterly charming to drive your hire car around. Famous for the retirement palace for the Roman Emperor Diocletian. The palace took over 10 years to build, with the loss of many lives. The end result bears testament to the ingenuity of the Romans and is a must see. Descendants of Salona used the walls to escape death during the Roman downfall. Their descendants live there to this present day. This is a great place to drive your rental car to, and then simply stroll and experience the local way of life, with many tree lined alleyways, with white washed walls. Take a day trip to Hvar, a small but attractive fishing village. Park your hire car near the regular boat service operates from Split. Whilst in Hvar, we would advise hiring a bicycle, as opposed to a car, to fully explore this majestic fishing port. 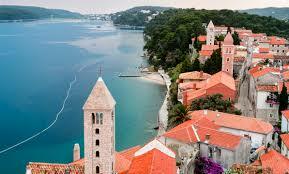 Compare more car hire in Croatia.